With Visiting Angels home care franchise opportunities, you can make a difference in your community. The percentage of seniors in our population is growing each day. U.S. Census data projects that 8,000 people are reaching the age of 65 each day. There will be 57.8 million "baby boomers" reaching senior age by the year 2030. The need for private duty in-home care will continue to grow as baby boomers enter their senior years. These services are provided through hourly (up to 24 hours), overnight, live-in, temporary or long-term care. When you choose franchise opportunities from Visiting Angels, you are choosing to make a difference in the lives of those in need. Our home care franchise opportunities provide the qualified care and assistance that bring peace of mind to families across the country. 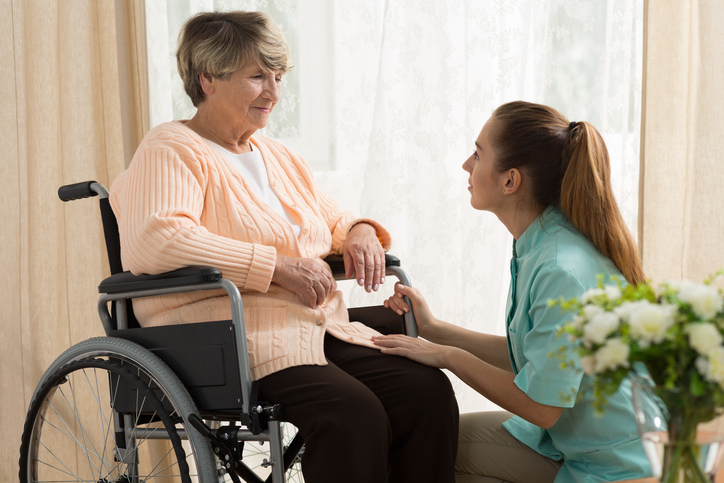 Our private duty care services make it possible for the disabled and seniors to continue living at home where they are most comfortable. There are few franchise opportunities that provide a return on your emotional investment. With home care franchise opportunities from Visiting Angels, you'll easily see how the work you do each day brings joy and comfort to those around you.